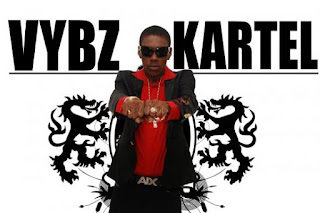 Vybz Kartel Inked Deal - All Statements & Anti-Homophobic Lyrics Towards Gays Must STOP! It's no secret I love VYBZ KARTEL, and even more so now ... up till yesterday, I loved this quote from the documentary, 'What the Bleep Do We Know? Down The Rabbit Hole' which was ‎"We have an ugly, backward concept of God!" More power to you VYBZ for not spreading and encouraging hate! "Dancehall prodigy Vybz Kartel reported ink a deal with a gay rights Organization to stop performing anti-gay music. According to the Afro-Caribbean association for the struggle against all forms of racism, homophobia and aids in France, are that deejay Vybz Kartel has signed the Reggae Compassionate Act which calls for the artiste to halt all anti-homophobic lyrics or statements. Kartel who recently completed a successful tour of Europe, allegedly signed the deal with the gay rights group to stop them from pressuring promoters to cancel his shows in some sections of Europe."